Badhaai Ho had now gone past the lifetime numbers of Stree [130 crore]. The film collected 2 crore* more on its sixth Saturday at the box office and with this the collections have now moved up to 131.45 crore*. It is the highest collecting film amongst all that are in the running and is pretty much the solo horse in the race. With this, the film has also emerged as the highest grossing small film of all times. It has crossed Sonu Ke Titu Ki Sweety [109 crore] and Raazi [124 crore] as well, and has turned out to be the biggest blockbuster of them all. As a matter of fact the only other mid-budget film which has collected more since the advent of 100 Crore Club is Tanu Weds Manu Returns. That film had amassed 152 crore and though Badhaai Ho will fall short of that, in terms of budget too it was smaller. On the other hand the film with the biggest budget of all times, Thugs of Hindostan, has now seen the lowest collections for a biggie in post Ghajini era. That was the first film to cross 100 crore and was ironically an Aamir Khan starrer as well. Now the superstar has delivered a dud in Thugs of Hindostan which brought in a mere 35 lakhs* on Saturday and currently stands at 144.35 crore*. The gap between Badhaai Ho and Thugs Of Hindostan is reducing with every passing day and it would be really a landmark moment in the history of Bollywood if an overlap truly happens. 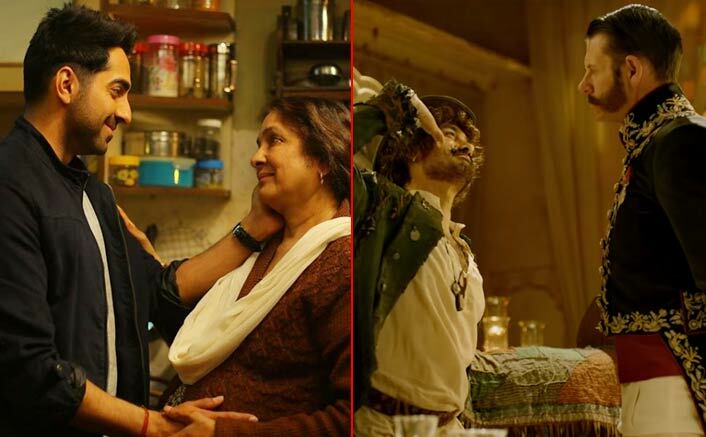 The post Box Office Update: Badhaai Ho Goes Past Stree, Thugs Of Hindostan Stays Very Poor appeared first on Koimoi.